Note: this model has taken over all of my code. We decided we should share it. I love it! Try it! In our Subjective photo processing iPhone app (please buy it and rate it! 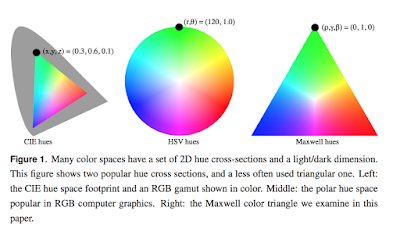 ), we have to manipulate color in all the classic ways (and a few others). For example, increase saturation. 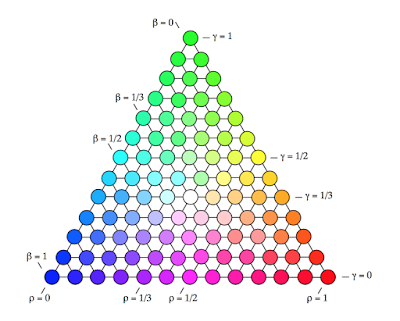 I was very dissatisfied with all the color models commonly used in graphics. 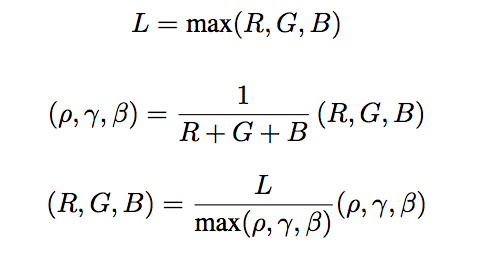 The practical problems with these spaces for my purposes are 1) intermediate colors such as yellow are not along a line from two colors that make them (red and green), and 2) computationally getting to and from the RGB cube is not that simple. Here neutral is (1/3, 1/3, 1/3). Red is (1, 0, 0). The greek letters we use for the barycentrics are (rho, gamma, beta). A basic issue is what do we use for the lightness channel. 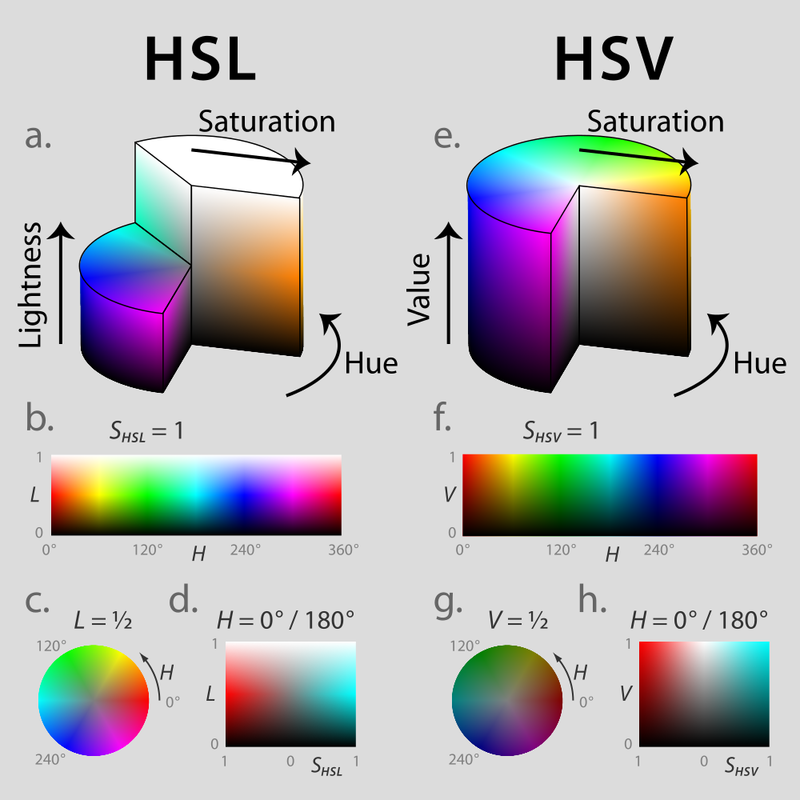 For example, HSL and HSV above have different ideas. 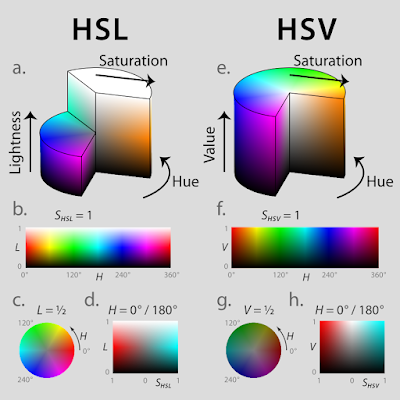 We go with the HSV approach so that pure colors have a lightness of 1.0. 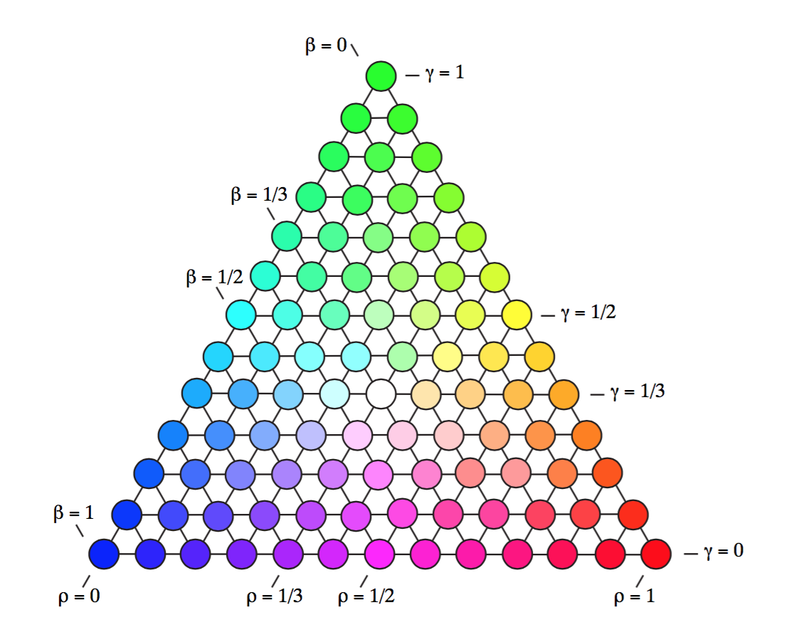 There are endless debates on this, and we like the pure colors are "light" approach because the computation and intuition are nice, and because lightness is a hard concept anyway once things get colorful as I discuss in a previous post. I will post some of the ways I use it in a later post. Our Pando ephermoral messaging app is private!